BIG BATH SDN. BHD was established since 2010 under LEONFAST group of companies that was formed in 1979. 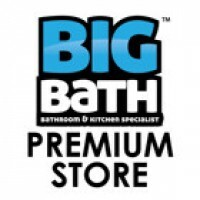 It is now a retailer, a wholesaler & manufacturer for bathroom and kitchen supplies. Over the years, our company has developed from a small retailer into a multi-store business with 8 retail outlets that are equipped with our own house brand products. “TORA”,” CELEBRITY KICTHEN”, Le'Celebrity” are our own manufactured brands, which incorporate sophisticated bathroom and kitchen designs. We have served our customers with the best products and service standards in the past; and we strive to ensure that the quality of our products and services are of the highest standard for our future customers. We deal with the most established developers in Malaysia, Bathroom retail stores, Kitchen shops and tile shops all over Malaysia. We want everyone to Work Smart but Not Work Hard . If you cant work smart then you have to work hard .